Tags are… awesome! Tags help us group and slice and dice out data. I have tags for types of people (recruiters, friends, family, professional contacts, etc. ), types of industries (software, Fortune 500, etc. ), types of jobs (related to product management, related to executive function, etc. ), and on and on. The only problem is that sometimes I get a little too excited about tags, and I make up new tags that pretty much go unused. And then, instead of having a dozen useful tags, I have 80 tags… 70 of which I don’t use. And this, my friend, is clutter. This does not spark joy. Well, I got some good news. Cleaning up your tags is easy peasy. You can do this for Contact tags, Company tags, and Job tags… it’s all the same process. 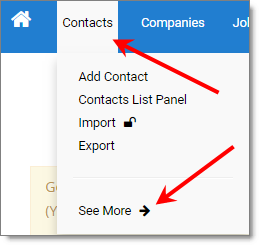 First, from the main menu, go to the Contacts, Companies, or Jobs dropdown… depends on which tags you want to clean up. From that dropdown, click the “See more –>” option. 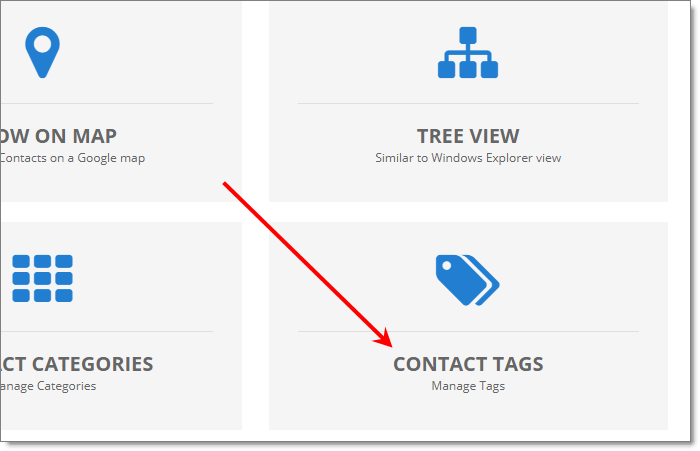 On that next page you’ll see a tile for Contact Tags (or Company Tags or Job Tags). Click that. This page is pretty self-explanatory… you can do record-by-record deleting… or you can click the checkboxes on the left and do bulk deleting. Now, I’m not going to tell you what to do, or how to do it, but I will say that in my experience keeping tags that are unused (like the 5 above) are nothing but a waste. They were a good idea at one time, but I obviously didn’t use them… my recommendation is to keep it clean, and remove tags that are unused.